You may have heard about HARP – the Home Affordable Refinance Program. It was launched in March 2009 and could be just what you need to get your financial life back on track. The HARP refinance plan was created in an effort to stem the foreclosure crisis that erupted nearly a decade ago. The HARP program was created to give homeowners whose homes have lost value. This program allows you to refinance to new, lower mortgage interest rates without having to pay for mortgage insurance. Another massive benefit of the HARP loan is that you do not have to worry about your current loan to value ratio or LTV on your home. HARP will let you refinance your home in most cases. Anyone who is underwater on their mortgage – meaning that you owe more on your home than it is worth – you could be eligible for the HARP program. Over the last eight years HARP has been the most popular 100% mortgage refinance. Not everyone can qualify for the HARP high LTV mortgage program. 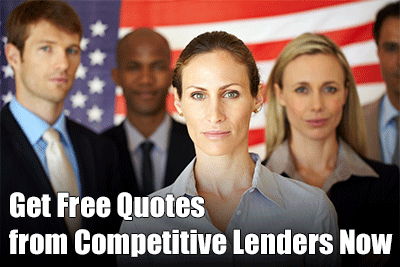 To qualify, you must have a loan that is backed by Fannie Mae or Freddie Mac. Also, your current mortgage can have a note that is no later than May 31, 2009. If your loan meets both of these criteria, you could be eligible for a HARP loan. Note: If you have an FHA, USDA or VA loan, you cannot qualify for the Home Affordable Refinance. People with an underwater FHA loan may refinance with the FHA-Streamline Refinance program. A VA loan may be refinanced with the VA Streamline Refinance program. And an underwater USDA loan can be refinanced with a USDA Streamline Refinance program. Borrowers who refinance through HARP save an average $125 to $150 per month on monthly mortgage costs. This can make a big difference to many people who are struggling to pay their mortgage. If you think you want to get a HARP refinance, you will need to get your finances in order. Here are five important things you should do. Make sure that Fannie or Freddie does back your mortgage: Fannie Mae and Freddie Mac each have a tool on their website that lets you see if either agency backs your loan. If your loan is not listed on either website, you are not eligible for a HARP refinance. See if your mortgage is old enough: Remember that loans that were made before June 1, 2009 can currently apply to HARP. Generally, this means that your loan must have started in mid-2009 or earlier. You can find the exact date your mortgage started by looking at the paperwork you signed at closing. Keep in mind that it can take two months to securitize a Fannie Mae or Freddie Mac loan, even if the start date is close to June 1, 2009, you could still be eligible. Does the mortgage have mortgage insurance: HARP is intended for homeowners with or without mortgage insurance. Generally, if you do have mortgage insurance, you new loan has to have the same amount of coverage. You have to be up to date on payments: HARP mandates that all homeowners have made their last six mortgage payments on time. You can have one 30 day late payment in the last year. This information will be checked on your credit report, so you should check your credit report before you apply for HARP. Organize paperwork: HARP mortgages have to go through underwriting like any other mortgage, so you have to give the underwriter bank statements, your driver license, homeowners policy, pay stubs and w-2s. If you work for yourself, you need to provide at least two years of tax returns to verify income. Poor credit: You may not be able to qualify because your credit score is too low, or you have too many late payments on your mortgage. You should try to be sure your credit score is 640 or higher. Equity problems: HARP does not have maximum LTV requirements for borrowers who get a new fixed rate mortgage. There is a maximum LTV ratio of 105% for borrowers who get an adjustable rate loan. The problem can be that some specific lenders have their own LTV guidelines that may be lower than HARP’s. If you fall into this situation, you should try another lender. No re-HARPs: You are allowed to only use HARP once. You should remember this when you first use the program. You only may use it one time. Fannie and Freddie: You cannot get a HARP refinance if the loan is not owned or backed by Fannie Mae or Freddie Mac. On the up side, experts say that borrowers who were denied for the Home Affordable Refinance before should try to apply again with another lender. You should first try to call your current lender and tell them that you want to get a HARP mortgage. If you are denied, you should learn the reason why and try again with another lender. You also can qualify for HARP even if you had a recent Chapter 7 bankruptcy. Fannie Mae states that it has removed the requirement that the borrower wait at least two years after a bankruptcy to apply for a HARP refinance. The Home Affordable Refinance Plan is a great program but there may be times when you may want to reconsider. The amount of money that you are allowed to borrow depends upon the value of the property, and your credit score also matters. HARP loans follower the guidelines set up by Fannie and Freddie. This means that you have to pay higher fees if you have a lower credit score, lower equity or less money down. For example, Fannie states that you have to pay three points more for a loan with a credit score under 620 than a borrower with a 720 credit score. In such a case, it could be too expensive for you to refinance the loan. Just remember to run all of the numbers on loan costs and monthly payments to determine if a HARP loan is right for you.